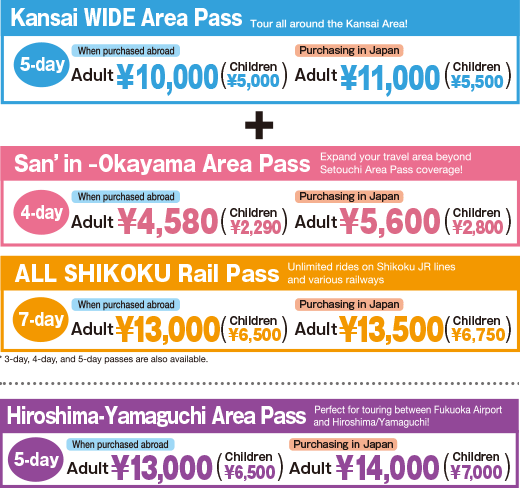 have to offer with your rail pass in one hand and this guide in the other! 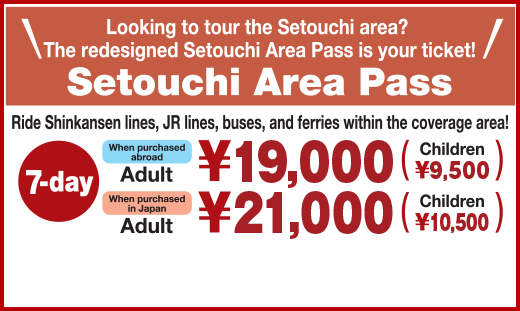 while touring Setouchi and San’in! 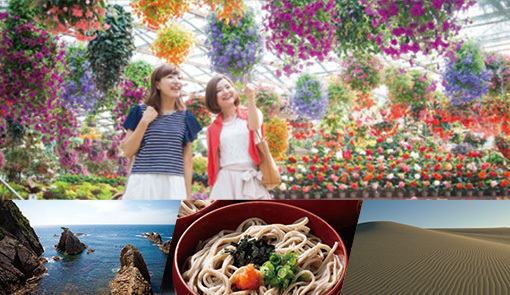 Tour San’in (Tottori, Shimane) and Shikoku with these passes! Purchase sets to enjoy an even wider coverage area! 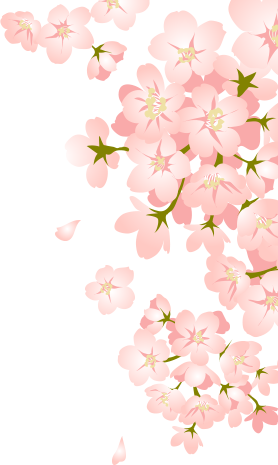 The San’in area is home to rich nature and various prominent cultural locations, including shrines, breweries, kabuki theaters, and sumo wrestling venues, making this region the source of many Japanese myths. 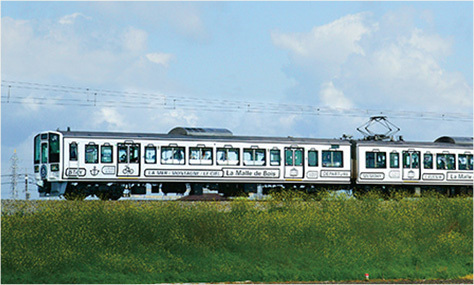 Designed to express the idea of “Native Japanese”, the AMETUCHI offers passengers the opportunity to discover the San’in area’s unique “new old Japan” locations. 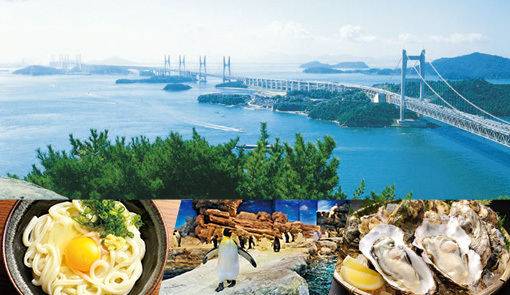 The La Malle de Bois is the perfect train for island hopping throughout the Setouchi area with stops in the art port city of Uno, Onomichi and its myriad retro and novel combinations, and Kotohira with its various blessings for the heart, soul, and stomach. With an answer to all of your travel needs, make the most of your journey with the La Malle de Bois. 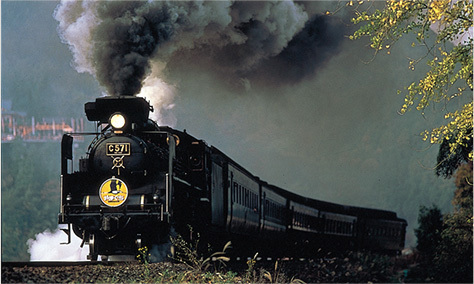 Enjoy a train adventure reminiscent of the past—complete with an iconic whistle—along the charming Yamaguchi Line featuring hot springs, canyons, and castle towns. 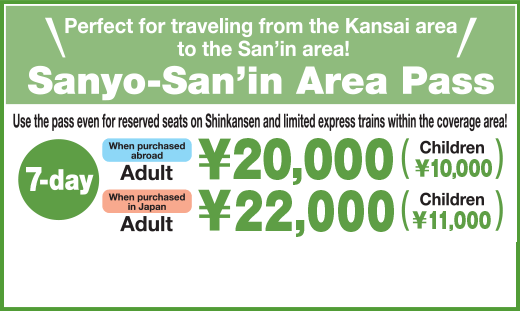 Beginning in September 2017, passengers will be able to ride newly manufactured cars with the latest amenities and true-to-period designs. 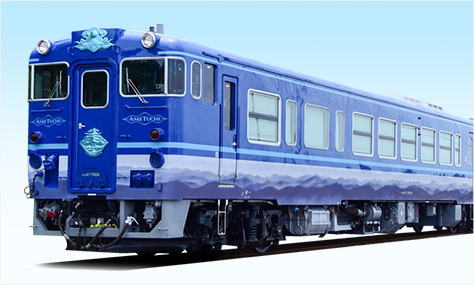 In addition to a comfortable, retro feel, the SL YAMAGUCHI includes a public area where passengers can learn more about the train through hands-on experiences and exhibits. Featuring two trains with different color schemes, the Iyonada Monogatari is available in madder red reminiscent of the sunset capping the days at Iyonada, and in gold representing both the sun’s glow and citrus fruit. 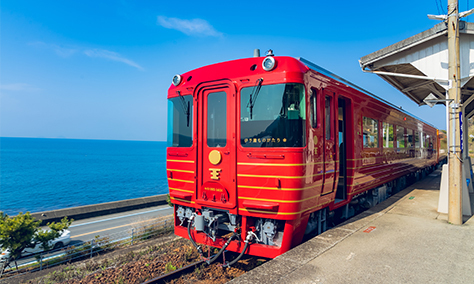 Passengers aboard one of these two retro-style trains will enjoy a delicious meal with unique Shikoku and Ehime dishes while taking in the peaceful scenic Iyonada Sea just outside the window. Hiroshima Chamber of Commerce and Industry Bldg.